In my drive to learn more about how great teams become great teams, I stumbled upon Ashlee Vance’s book, Elon Musk. Vance had his work cut out for him, as Musk didn’t agree to cooperate on the book until well into his writing. In reading about Musk and his approach to business and technology, it was enlightening to learn that when Musk started Tesla and SpaceX, he brought with him many of the methods and concepts learned from his years in the software field. A main principle of Agile is to have self-organized, cross-functional teams of people capable of getting the work done. It sounds so simple, and yet it is a big challenge to many companies working on their transformation to Agile today. Imagine a team like this? You would be putting the commitment into the teams hands and, by having everyone together, you would ensure that the work was completed as defined by the team. Such a simple concept – let people who are asking for, building, testing and accepting the final result, work together from start to finish to ensure they build what the customer wanted! Musk leveraged his greatest resource, his people, to work together to do the unthinkable. Starting from scratch in 2002, SpaceX became the only private company ever to return a spacecraft from low-Earth orbit, which it first accomplished in December of 2010 – just 8 years. Again, in May of 2012 they made history when they delivered cargo to the International Space Station. 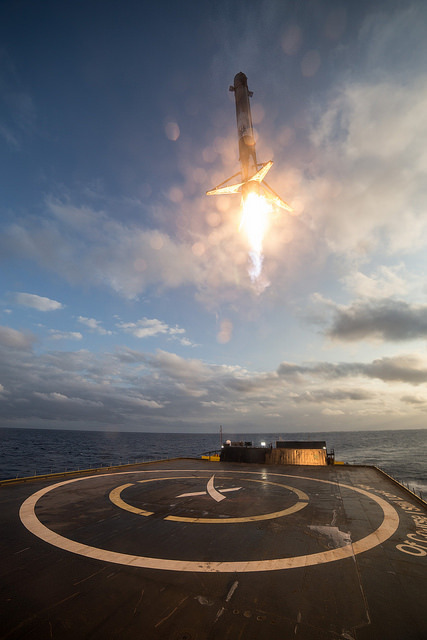 Most recently, in December of 2015, SpaceX delivered satellites into orbit and the first stage of their rocket safely returned and landed on earth – the first-ever orbital class rocket landing. Musk took note of how Agile teams worked and the self-organizing and cross-functional team concept, and brought it right to the manufacturing floor of SpaceX.